One-time symphonic rock superstars Evanescence arguably peaked just as they were getting started. They won a Grammy in 2004 for Best New Artist after their wildly successful debut album Fallen hypnotised much of the Western world. It brought the niche subgenre of hybrid orchestral movements and snaring guitar riffs into the mainstream through powerful singles such as Bring Me to Life and My Immortal. But dynamite lead vocalist Amy Lee was the catalyst for internal trouble in the band which delayed the release of their next effort until 2007. The Open Door didn’t see the success of the first album but it managed to build well off the strength of Lee’s voice while employing a great deal of variety in melody and themes. Fast forward to 2011 and Evanescence found they had made the same mistake twice. After another saga of dramas they released their third album, a self titled compilation of new tunes that the general public cared a lot less about than either of the others. Some of their former fans were less forgiving of a four year wait the second time around, as they had moved on to other things, and an electronic pop landscape made it harder for the band to gain new fans. The band nonetheless still had a large following who faithfully purchased the album (myself included), but against the lofty standards Evanescence had set in the past the new product turned out comparatively average. Beginning with a heavy percussion hook, the album’s opener What You Want bodes well for the remainder of the tracks, but after the moody Made of Stone the highlights are sparse. The chorus of My Heart is Broken soars over frantic piano strokes but the remainder of the song is less than memorable. The album’s crucial middle section is uninspiring, where the formulaic The Other Side and Erase This lead into Lost in Paradise, the album’s first venture into ballad territory that ruins itself in the second half of its running time by exemplifying the main issue with the album as a whole: Lee’s phenomenal vocals are mixed with lower priority than ever before, letting the instruments drown out the main reason Evanescence received its fame in the first place. Sick packs a venomous chorus, but gets repetitive after only a few album playthroughs, and Oceans sounds disappointingly generic. Luckily End of the Dream provides a wistful, consistent punch both lyrically and melodically. 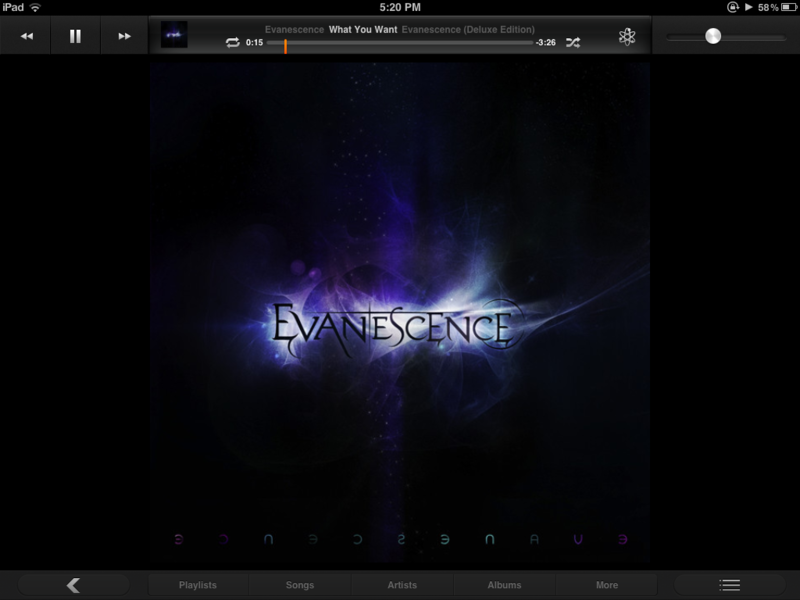 Evanescence waits until its last track to deliver a worthy ballad. Swimming Home surprises with a heavily electronic sound but lets Lee’s vocals take centre stage and is all the better for it. The most bewildering thing about Evanescence as a collection of songs is the generally superior quality of the four tracks exclusive to the “Deluxe Edition” of the album. The likes of Say You Will, with its thumping central riff and infectious register-hopping vocals, and Secret Door, with its harmony-rich minimalist string arrangement, should have been included on every version of the release and if they had been, the album would certainly have felt more like a worthy successor to Fallen and even The Open Door. As it stands Evanescence is not a bad album, but it features a host of missed opportunities. If the band behind it can somehow stay drama-free over the next few years and stay together long enough to iron out the kinks of their new, wholistic sound, their next effort should produce better results.